in some weights we had more than just 2 athletes , I just wrote the final series results. beside that these wrestlers are selected for this round after series of pre-trials. what's the point of having trials ? determine the best representative , right ? 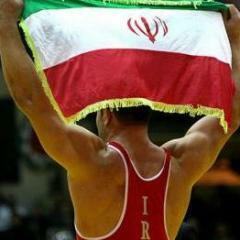 what if someone only can wrestle good at home, against Iranian wrestlers, in fact those guys who lost here (Akhlaghi and Mohammadi) won the quota for Iran, in World Championship after beating so many tough wrestlers, they both lost their semifinal/quarterfinal while they were leading , just did a mistake and got pinned. who knows they both could win the gold last year ! Here is the final decision of Iran Wrestling Federation technical committee about Olympic Trials, in some weights they already selected the Olympic team member, in other weights they narrowed it down to two wrestlers . in both Greco and Freestyle they will consider the World Cup as their main trial event, both candidates will go to the World Cup and whoever performs better will go to Rio, but remember World Cup is a team event and each country can enter two wrestlers per weight, our wrestlers will not face each other there ! if none of convinced the coaches , they will send them to another international tournament. we have a special case for 97kg freestyle. the big big favorite Reza Yazdani is seriously injured and his situation is still unclear. * 3 wrestlers are already selected. Yazdani, Karimi and Abdevali. * in 97kg, Tahan and Mohammadi will go to the World Cup, if Yazdani recovers in time after 2.5 months, one of those guys and Yazdani will go to Armenia tournament to determine the Olympic team member. * in 98kg Greco, Rezaei and Aliyari both will wrestle in World Cup, if none of them convinces they will wrestle each other right after the World Cup or the next day. * in other weights if they take their final decision after the World Cup, they will send both candidates to an international tournament. I think they already took their decision about 57 freestyle and 66 Greco , Rahimi and Norouzi just have to be "not bad" in World Cup to be selected. btw it is true. First post was from 14.6.
thanks, I tried the same source couple hours ago and didn't find that. how lucky he is, exactly 65m ! With Kimia Alizadeh securing a spot in Women's Taekwondo today, now we have 41 quotas. here is the list of remaining qualifiers for Iranian athletes. beside that you always can qualify by reaching the standards in Athletics and Swimming, while in Swimming we have no chance to qualify , but they will most probably get a universality place.